The most luxurious hotel in Brussels, Hotel Amigo is located around the corner from the magnificent Grand Place, offering guests unparalleled service and style. Set amongst historic cobbled streets, the hotel features luxurious, contemporary design embellished with stylish Flemish touches. Rooms are individual in style and feature surrealist prints by Marcel Broodthaers and René Magritte; some have views of the neighbouring historic buildings - the Town Hall, churches and spires of the city. The new Tintin bedrooms and suite feature prints, characters and collectables from Hergé’s famous comic books and will delight fans of all ages. The ballroom features separate access and all meeting rooms are equipped with the latest communications technology. Some of our most important guests are also the smallest. From the Squirrel teddy waiting in their room to our special Families R Forte passport, our Families R Forte programme makes sure our junior guests are just as pampered as the grown-ups. Rene is our naughty baby squirrel. He helps to choose the best hazelnuts for the kitchens in Hotel Amigo. He also likes tasting all the chocolate pralines in the local shops. We’ve created the perfect gifts for younger guests to enjoy back home. To buy any of the below items or to discover more, please email: guestrelation.amigo@roccofortehotels.com. Like Hotel Amigo, this is a city alive with style and elegance. With the finest meeting rooms in Brussels, you’ll find us in the centre of the city, close to the European Parliament, financial district, Grand Place and Town Hall. Our modern conference facilities include six fully-equipped meeting rooms, a ballroom with a marble foyer and dedicated Business Centre. Whether strictly for business or a celebratory affair, expect sophisticated surroundings, award-winning facilities and the Forte Family’s style of service. Warm, welcoming and subtle, it draws guests back time and time again. Despite its business-like image, dining, shopping, fine art and architecture are very much part of life in Brussels. Explore the maze of streets beside the Grand Place, sample the ubiquitous moules-frites and taste some of Belgium’s 450 beers. Take a guided city tour, challenge colleagues to a vintage car rally in the nearby Brabant countryside or enjoy a gala dinner at the Museum of Fine Art. We will be happy to help shape this amazing city around you. 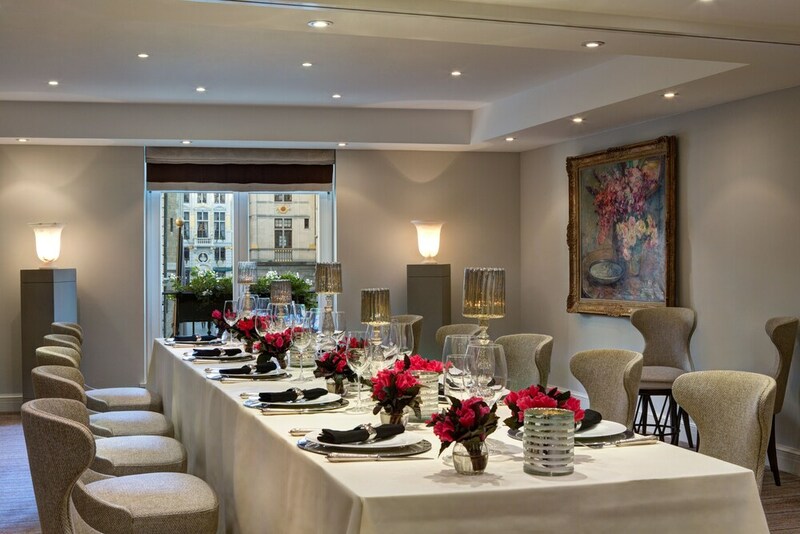 Celebrate in style in one of our private dining rooms: Ambassador room, Herge' and Brel. Celebrated Chef Fulvio Pierangelini will design your menu and a dedicated member of our team will be on hand to coordinate every aspect of your event. Looking to host a Christmas party in style? Hotel Amigo provides a glamorous setting for festive traditional business and family celebrations for up to 250 guests. From gala reception to board dinners, enjoy a menu created by BoCConi’s Chef in one of our five private rooms, ballroom or in our Royal Suite. Hotel Amigo is the perfect Brussels conference venue. Our six spacious meeting rooms are individual in style and embellished with uniquely Flemish touches. They can accommodate up to 50 people. The impressive grand ballroom holds up to 250 guests and can be divided into two separate rooms. Our hotel also has a fully equipped Business Centre, with the latest audio-visual technology and Wi-Fi access. Flip charts, Slide projector, Overhead projector, Microphone system, Laser pointer, LCD projector, Tape recorder, TV/video, Simultaneous translation, CD player, Flower arrangements, Dance floor, Lectern, Stage,Video wall, Disco, Welcome Hostess. Hotel Amigo provides a stylish venue for weddings in Brussels, offering superior service and attention to detail for ceremonies of all sizes. Our unique location beside the Grand Place and Town Hall provides one of the most romantic settings in Brussels. Our dedicated wedding team knows it’s the little things that make your big day special. Every detail is created just for you, from flowers and decorations to bespoke menus and entertainment. Celebrate Together Amid The Most Beautiful Setting In Brussels. Our Chefs Will Ensure Your Wedding Banquet Suits Every Taste And Is Accompanied By The Finest Wines. 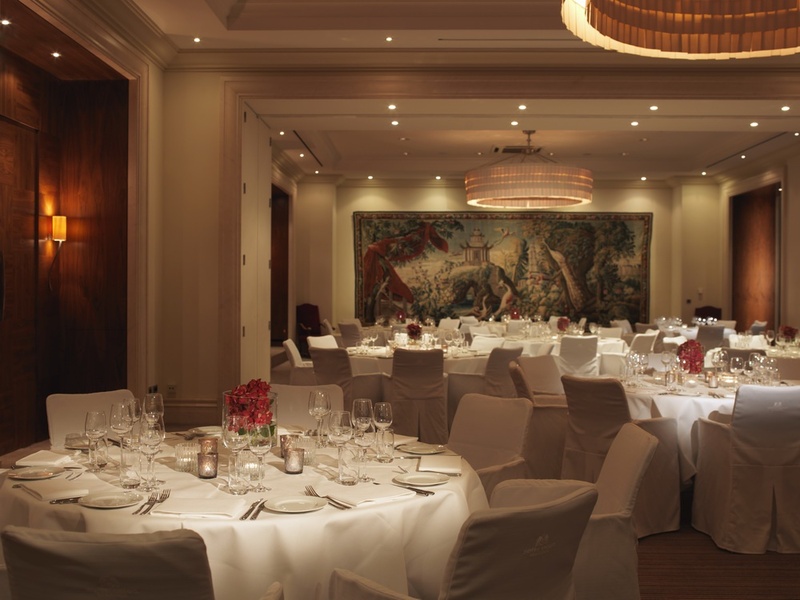 The elegant Ambassador Room is the perfect venue for any reception and can accommodate up to 120 guests for dinner. The Aubusson tapestry provides a stunning backdrop to your big day. Our chefs will ensure your wedding banquet suits every taste and is accompanied by the finest wines. A private side entrance can be arranged to welcome guests after the ceremony. Hotel amigo has a wedding package to match any size of celebration. each one is specially prepared with everything you need for your big day. ask for details — we will be happy to help. 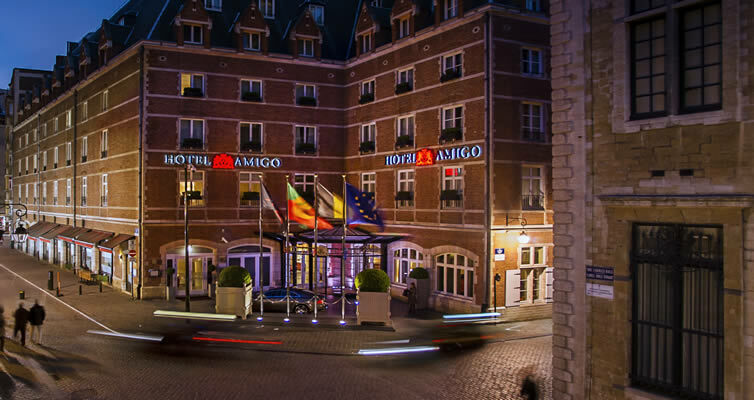 Stay at Hotel Amigo and experience an authentic Belgian Christmas and New Year. Immerse yourself in the city’s celebrations. Discover Christmas markets, fairground rides, performing artists and much more before retiring to one of our beautifully appointed rooms or suites, just 56 steps from the Grand Place. Brussels is a cultural haven. there are magrittes and rubens. fine antiques, furniture and exquisite lace. handmade chocolates, beer and moules-frites. hotel amigo stands at the crossroads of the historic ilot sacré area and the antiques district of le sablon. For the ultimate insider experience, follow Hotel Amigo’s concierge to some of their favourite places in Brussels. Step into a city brimming with fine antiques, delicious artisanal chocolate and extraordinary Art Nouveau architecture. The opulent Grand Place is the beating heart of this historic city. Its show-stopping Gothic spired city hall takes pride of place, surrounded by rows of ornate guildhall facades and a vast cobbled square. By day, you’ll find a flower market and a lively café culture, while after dark the Grand Place is enchantingly illuminated. Explore the mind-bending archives of Belgian Surrealist artist, Rene Magritte at the Magritte Museum. Featuring an astonishing archive of over 200 of his best works including The Return and The Harvest, the museum hosts an eclectic array of paintings, sculpture, drawings and photographs. This elegant pocket of Brussels is awash with antiques and art each weekend, when a market arrives in town. You’ll find beautiful silverware and charming timepieces to peruse at the stalls, as well as artisanal chocolatiers, pretty pastry shops, sophisticated boutiques and quaint cocktail bars in this historic neighbourhood. Those with even a passing political inclination will be captivated by a trip to the Parlamentarium, the European Parliament visitor centre. It’s a highly interactive experience where visitors can get a panoramic view of Europe and its parliament in their cinema, take a virtual trip through the continent, or simply learn about the legislative process. For stylish shopping, make a beeline for the Dansaert district. Here, trendy boutiques like A.P.C. and Maje sit alongside large designer emporiums. For cutting-edge fashion visit Stijl, where you can shop for Vetements and Dries van Noten. Make a pit-stop at the lovely AM Sweet tearoom for homemade baked treats. Brussels is the capital of Art Nouveau, and one of the best ways to discover this romantic, decorative style is with a stroll through the city streets. Admire Belgian patron of Art Nouveau, Victor Horta’s architecture by visiting Hôtel Tassel and The Solvay House, and explore his mosaics and stained glass at the Horta Museum. For luxurious Art Deco, Villa Empain is a must-see. From the Smurfs to Tintin, Belgium is the comic strip capital of the world. Discover the magic of these characters at The Comic Strip Centre. Housed in a majestic Art Nouveau building near the Grand Place, the temple to cartoons takes you on a journey back to their past whilst celebrating their present. Children will love the 3D Smurf village and adults will adore being transported back to their childhood. Despite being built in 1958, the Atomium still looks like it’s from the future. The extraordinary structure of polished silver spheres is the most iconic landmark in Brussels, but as an exhibition space dedicated to architecture and design shows, the Atomium has plenty to offer inside, too. Brussels is commonly considered the capital of Art Nouveau. A walk through the city centre offers a history lesson in architecture as beautifully preserved Art Nouveau buildings from the late 19th to early 20th centuries stand shoulder-to-shoulder with historical Gothic structures. Explore the incredible Art Nouveau buildings in Brussels and discover the works of Victor Horta, the Belgian patron of Art Nouveau, as well as the homes of notable talents such as Paul Cauchie and Paul Saintenoy. Hôtel Tassel is widely considered the world’s first Art Nouveau building. Built by architect Victor Horta in 1893, the UNESCO World Heritage house (which, contrary to the name, isn’t a hotel) was designed as a home for Belgian scientist and professor Emile Tassel. The building features a trendsetting design that abandoned the traditions of the time for modern materials like iron and glass. A distinctive stone exterior with large curved bay windows encases a stunning interior, the centrepiece of which is a grand staircase that spirals up through the tall townhouse. While visitors can’t freely venture inside, it’s worth passing by to see the building’s striking exterior. The Solvay House, another UNESCO World Heritage Monument, is one of the most ambitious works by the same architect, Victor Horta. After being given a bottomless budget and creative freedom to design a home for science magnate Armand Solvay, Horta used the opportunity to push the boundaries of Art Nouveau. By manipulating metal framing usually found in industrial structures, he was able to create an innovative layout wherein natural light flooded through cleverly placed glass panels. Architecture enthusiasts can enjoy a tour of the building to get a closer look at Horta’s work, which includes spectacular painted walls and beautiful motifs that flow between all aspects of the interior décor, from the mosaic floors to the custom furniture. Get inside Horta’s head with a trip to his home and studio, the Horta Museum. The house was built between 1898 and 1901 and is a typical example of Art Nouveau design, with beautiful interiors that heavily feature mosaics, wall decorations and stained glass – most of which has been preserved. The Horta Museum opened in 1969 and has since invited visitors to take a tour of the building and learn about the architect at its insightful Art Nouveau exhibition. Complete your tour of Horta’s Brussels with a trip to BOZAR Centre for Fine Arts, an impressive museum built by Horta in 1928. While differing from his usual mansion designs in size and grandeur, the building still maintains a discernable air of Art Nouveau. Recently renovated to the architect’s original appearance, the museum houses art exhibition spaces, concert halls and theatres. Designed and built in the 1930s by Swiss architect Michel Polok, Villa Empain is a beautiful example of Art Deco done the luxury way. After being commissioned by Baron Louis Empain, Polok used the highest quality materials and most expensive details to construct a beautiful home which would last the ages, visually and physically. Recently restored to its former glory, the villa is now home of the Boghossian Foundation and its artist in residence programme which invites artists from all fields to spend time at house to work on their craft. Villa Empain is open to visitors and guides lead tours every day except Monday. One of the most beautiful Art Nouveau buildings in Brussels, Cauchie House was built by architect and artist Paul Cauchie in 1905. While the exterior is distinctly Art Nouveau, Cauchie’s artistic hand is felt strongly throughout, particularly in the intricate graffito wall décor. As is only natural in an artist’s house, the walls are covered with famous Art Nouveau paintings – a highlight for visitors. The house is only open to the public on the first weekend of each month, so advance planning is essential. The Musical Instruments Museum, or the ‘mim’, was built in 1899 to a design by architect Paul Saintenoy. Located on the Montagne de la Cour, the building was an ancient department store redesigned as a museum to house one of the largest collections of musical instruments in the world. Whether you’re interested in music or not, it’s worth a visit for its striking Art Nouveau architecture, which can be admired from the rooftop restaurant. 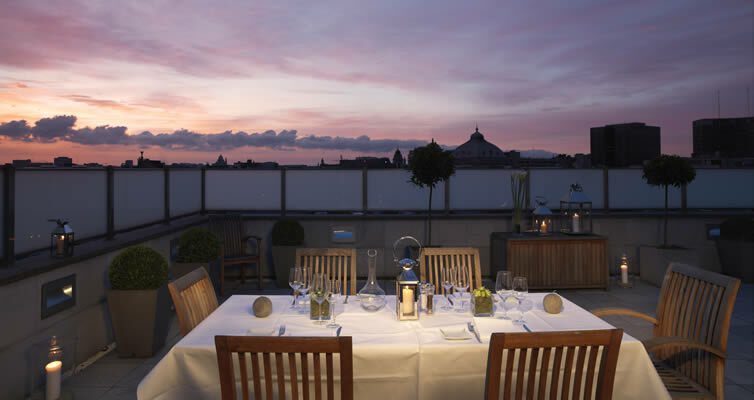 Accessible independently from the museum, the restaurant also has unbeatable views over the city – a striking way to bring a day in Brussels to a memorable close. Continue your architectural adventure at the historic Hotel Amigo, which was built in 1957 on the site of a former prison. People go to Italy for pizza, Germany for sausages, and Scotland for Haggis, but in Belgium, it’s all about the chocolate. Brussels is the spiritual home of cocoa enthusiasts the world over, and is estimated to house around 2,000 chocolatiers. While this may seem excessive, simply sample it and you’ll understand why. Next time you visit Hotel Amigo, explore the art of Belgian chocolate making with this guide to the best chocolatiers in Brussels. When it comes to chocolatiers in Brussels, one man’s name stands out above all others, Pierre Marcolini. The chocolate master is famed for his daring creativity and dedication to quality. He personally selects beans from plantations in Brazil, Mexico, Vietnam and Chuao in Venezuela and roasts them back home in Brussels, where he experiments with unique flavourings. Visit the flagship boutique on Place du Sablon to discover tempting truffles, flavoursome macaroons and innovative creations such as cocoa-infused ‘tea’ and intense 6g chocolates. If you can’t decide on just one, hand pick your own customised box at the chocolate bar. Wittamer started life as a bakery over 100 years ago. Over time, the family-run company turned its attention to chocolate and became an innovative leader as one of the first to use colours in its chocolates. Wittamer’s reputation was so great that it was commissioned to create a huge chocolate cake for the wedding of the King and Queen of Belgium in 1999, earning it a Royal Warrant. Visitors can sample sweet treats at the patisserie or explore the atelier’s myriad chocolate offerings and pick up a speciality Carré Floor box – a customised selection of 25 smooth pralines. Mary was opened in 1919 by chocolate enthusiast Mary Delluc. Based in the heart of the capital in Rue Royal, it soon became a favourite of passing noblemen, who returned again and again for its quality hand-made hand-decorated Belgian chocolates – the signature curved langues de chat (cat tongues) were a particular success. Mary became a supplier to the royal family and was awarded the title of Certified Royal Warrant Holder of Belgium in 1942, 1990 and 1994. In today’s art deco-style boutiques across Brussels, visitors can sample the latest collections and flavours, or explore the chocolatier’s history through tasty period boxes, such as the rosine, the gilded box and, of course, the langues de chat. Inspired by his travels to the Far East, chocolatier Laurent Gerbaud blends chocolate, fruit and spices to create premium chocolates that are unique and flavoursome. It all started with dark chocolate coated kumquats (candied oranges), and has now extended to apricots, lemon peels, figs, grapefruit, plums, pears, nuts, and much more. Visitors can sample his fruity creations at the Laurent Gerbaud boutiques on Rue Revenstein and Rue des Chartreux. Take your chocolate adventure back to the hotel by booking in for Bar Amigo’s Chocolate Afternoon Tea. In a delicious twist to the traditional high tea experience, diners feast on chocolate sweets by Pierre Marcolini, washed down with hot chocolate, chocolate infusions and Champagne. Work out round the clock in our Brussels gym, using the latest state-of-the-art Technogym equipment. 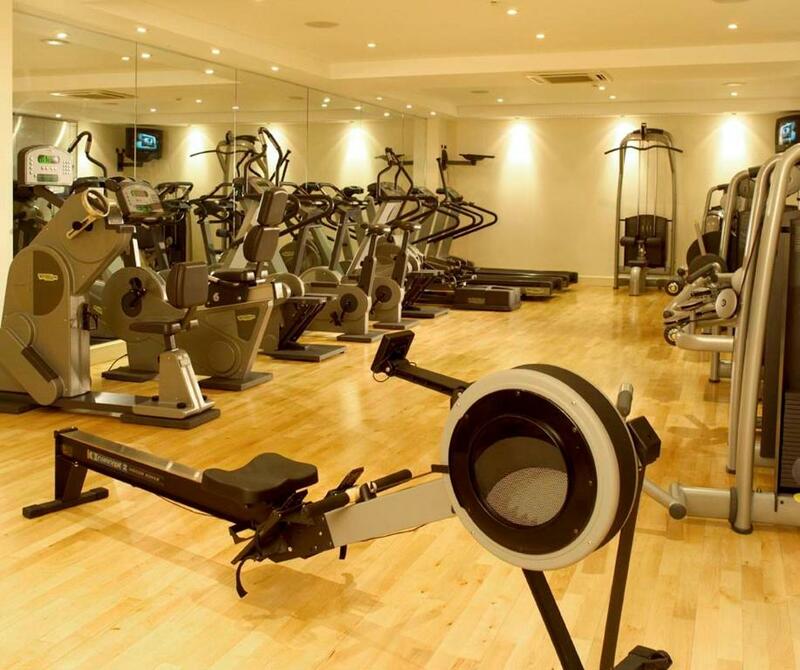 You’ll find cardiovascular and resistance machines, together with a full set of free weights. 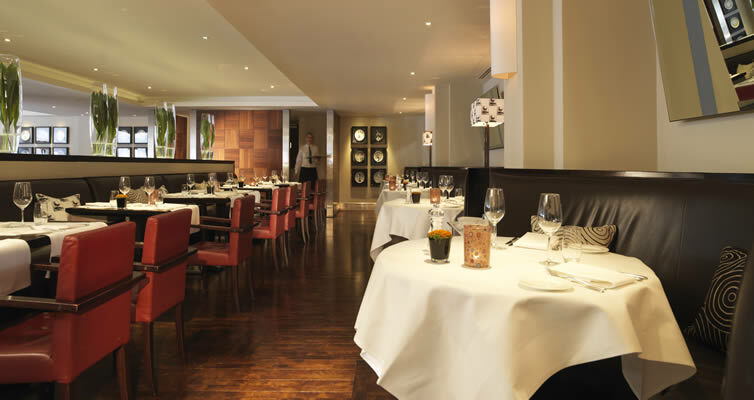 Our award-winning Bocconi restaurant is dedicated to sumptuous Italian cuisine. 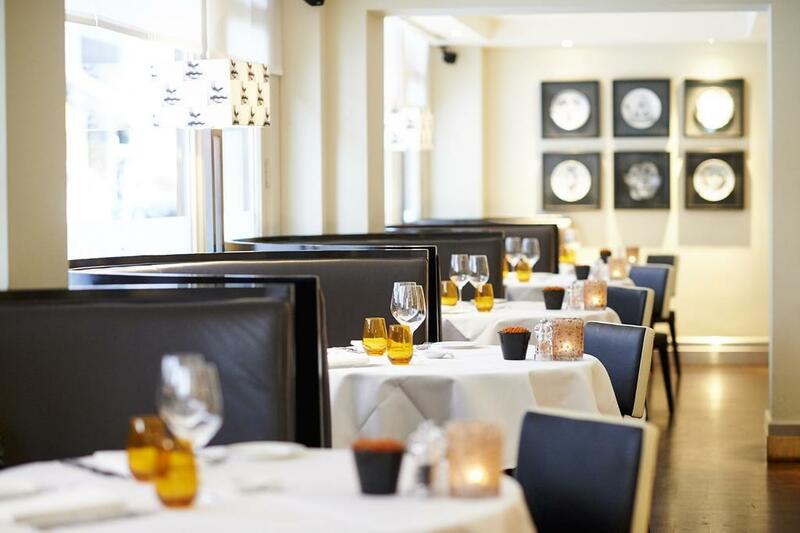 Simple yet sophisticated, the authentic menu was created by celebrated Italian chef Fulvio Pierangelini. Sample Italian dishes made using the finest local produce. Vitello tonnato. Paccheri with tomatoes. Veal Milanese. Tiramisu Bocconi. 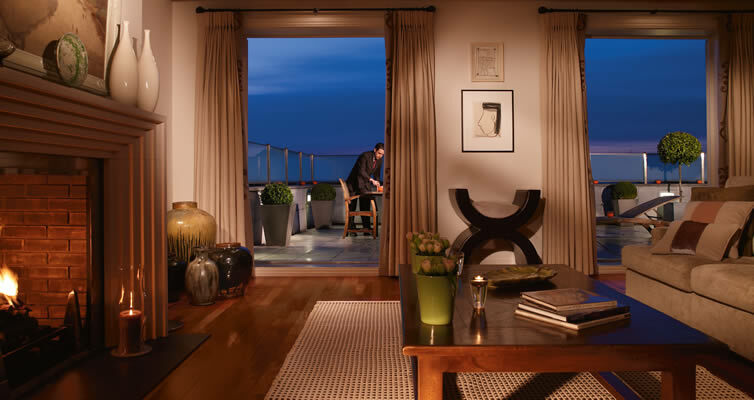 All accompanied by carefully selected Italian wines and enjoyed in an inviting and intimate atmosphere. During the warmer month, dine alfresco on the terrace. "A potato and a truffle on their own have no sense. Together, they are pure magic." Celebrity Chef Fulvio Pierangelini has 25 years of experience. His rustic approach brings distinctive flair to classic Italian dishes. 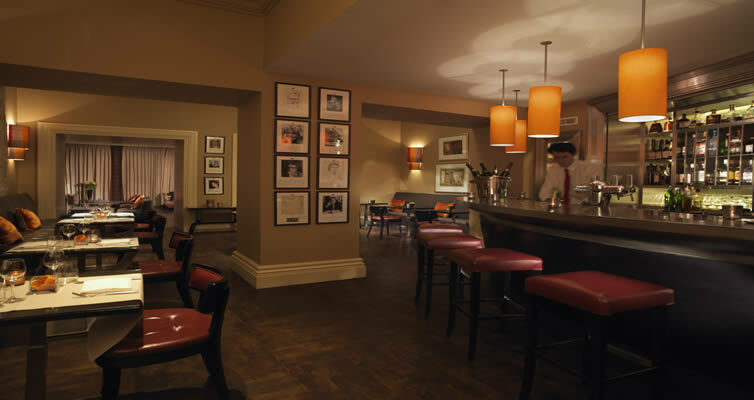 Signed portraits of some of our famous guests line the walls of bar amigo. you’ll be made to feel just as special. 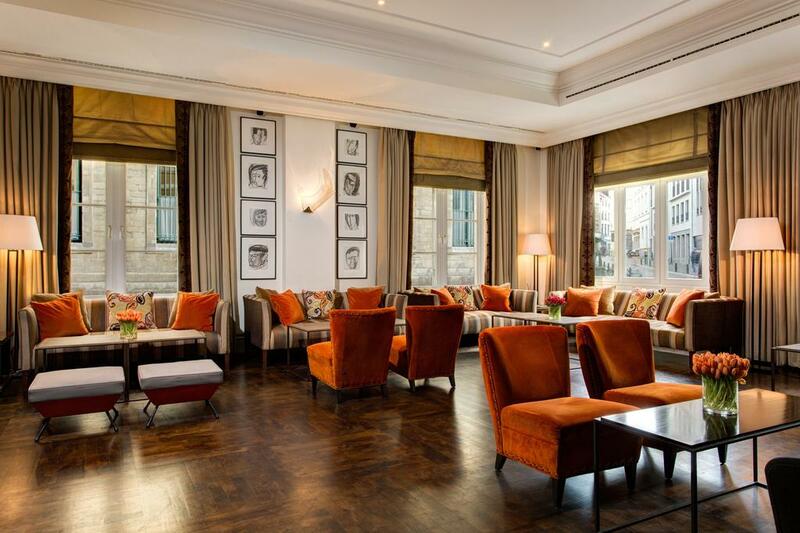 Watch the world go by while enjoying drinks in our stylish bar. Relax in the leather chairs with an aperitif, cognac or glass of wine. Try our range of low-calorie cocktails, such as Basil Appletini and Pepper Cooler. 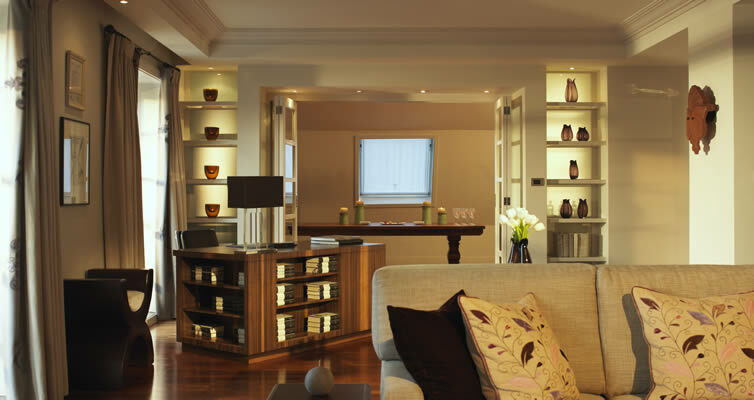 Polished parquet floors and background music add to the elegant ambience. At lunchtime, light Italian dishes are served, prepared with fresh seasonal produce. Veal escalope, Parma ham and white wine sauce. Piadina parma ham, squacquerone cheese and rocket. Hotel Amigo and Maestro Fulvio Pierangelini have collaborated with Pascale Naessens, best-selling culinary author in Belgium and ceramic artist who has become a leading voice for healthy eating to create an innovative and delicious Rocco Forte Nourish menu exclusively for its guests. Rocco Forte Nourish, one element of Rocco Forte Hotels’ newly launched all-encompassing wellness offering, inspires healthy routines and encourages guests to keep wellbeing front of mind while travelling. Thank you for choosing to book Hotel Amigo.! Due to limited availability you are encouraged to contact the reservations department to enjoy our personalized service, by phone on +32 2 547 4747. Please fill this form for individuals or for groups and you shall receive an answer written by a live person at Hotel Amigo. This is the only way you can know exactly what room types are available for the dates you want, and the best possible rate, because you are dealing directly with the hotel. 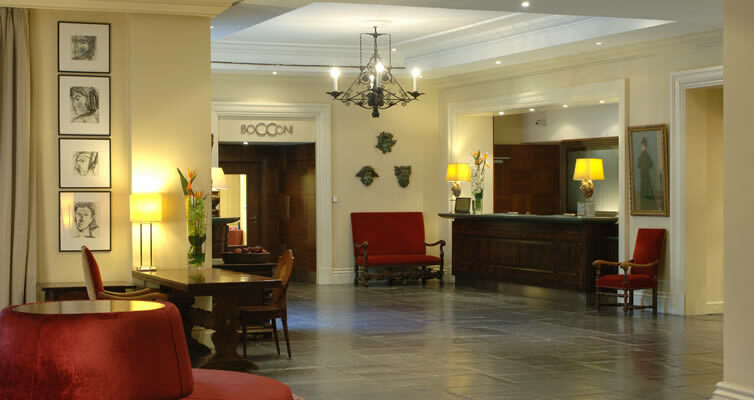 Only a short drive from the station, 20 minutes by car from the airport and only two hours from London by Eurostar, the hotel is easily accessible. The city is well served with frequent flights from all over Europe. If you would like to be met from the station or airport, please let us know.